By Jemima Burke Journalism @nuigalway | Intern @LaunchPadNUIG | Economics Class Rep @NUIGSU. The recent Enterprise Ireland / New Frontiers IoT initiative in Galway proved to be a great success. Irish Tech News managed to find out more in this interview with Lochlan Scott, co-founder of C9Health. A healthcare IT company providing premium, user-friendly EHR platforms for both clinicians and patients; at low costs. FREE 30 day trials coming soon! What does C9 Health provide? We provide cloud-based practice management software. Where did the idea come from? How have you developed it? It started from a different organisation that I founded 4 or 5 years ago where we were looking at how people accessed health and data. What we were seeing was that there was no viable option in Ireland (and in other areas in Europe) where patients could come and look at their data and see what was going on with their health. We also saw that GPs and other health professionals like chiropractors and physiotherapists were paying a lot of money for a product that we thought could be better and easier to use. We wanted them to have more time with their patients and clients. So that’s what we’ve done. 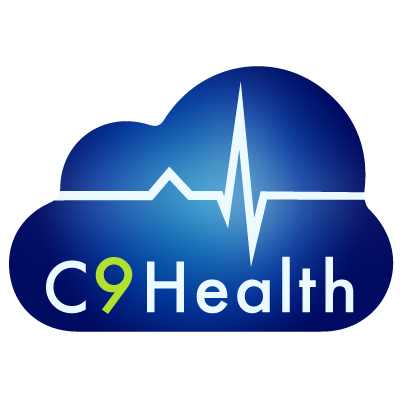 We have created a practice management software called Cloud 9 clinician. First of all, it reduces the GPs standard fees for the year for an EHR by 50%. That’s guaranteed. Secondly, it enables the GP or chiropractor to go outside and use the software remotely so if they have to look up data they can access the system remotely. They can also input data as well from when they’re out, maybe on a home visit or speaking to another consultant. Our second phase of development will allow patients to come in and access their own data. For example, they can look at what prescriptions they’ve had over the past few years. That benefits the patients also because they become more knowledgeable about their health. Can you explain where IoT comes in here: for the dummy? IoT has been around for about 40 years. Ever since the Internet became a viable piece of technology we have been able to connect with each other on a much broader basis than we have before, creating a world where we can be connected to any device or any person that’s out there. It’s just a matter of entrepreneurs and so developing the concept and inventors bringing along different element of it. What are the challenges of IoT? People are sensitive about their personal records. How will you ensure that the patient’s data is secure? All our software is compliant with EU regulations and Irish regulations around data protection. Also, the software that’s built in the background and the servers are all bank-rate security. So if you’re confident enough to use banking online on your phone you’ll have the exact same security on C9 health systems. We have. It’s c9health.com. We also have a demo and we are in the process of compiling a campaign for a kick-starting campaign which should start within the next 30 to 60 days. And based on that, we’ll be able to bring out the full product to market. What’s the long term vision for C9 Health? We want to look at a pan-Europe EHR (electronic health record) system that would link directly with the hospital systems that are out there. So basically one system across Europe would be the ideal and that’s where we would like to go with this. We’ve been looking at the possibility of linking primary care software to hospital software so that there is a complete view of the patient from primary care right through to the hospital. Here’s one of the biggest problems with health: when you arrive in the hospital, they can’t figure anything out about you. They only have their data if you’ve been in the hospital before. They don’t have direct access to the GP software or patient record and the ideal is that there would be a system in place for that. Any advice for other entrepreneurs and start-ups? Don’t get downhearted. You’re going to have a lot of tough days. If you believe in your project stick with it. But also: take advice. Take lots and lots of advice from lots of different people. Get out there. Network. Get to know people. The more you get to know people that are in your area and even outside your area the better you’ll be at developing your business. Looking forward to reporting on IoT Summit this Friday @GMITOfficial for @Irish_TechNews. Great line-up. #NewFrontiers.